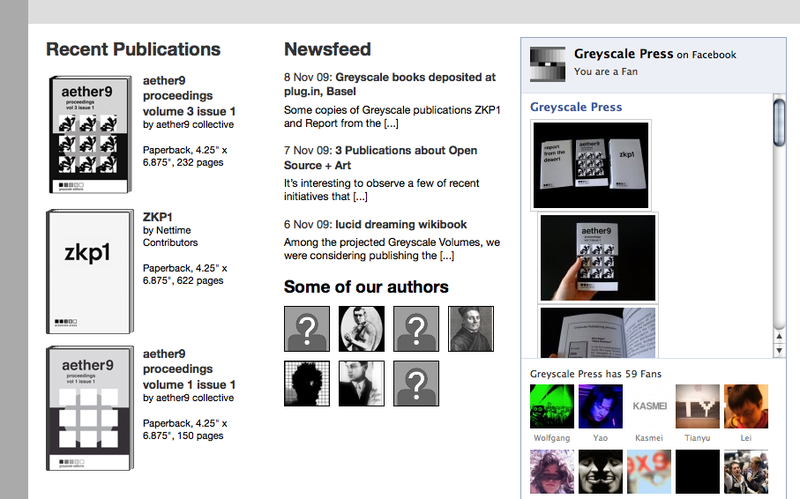 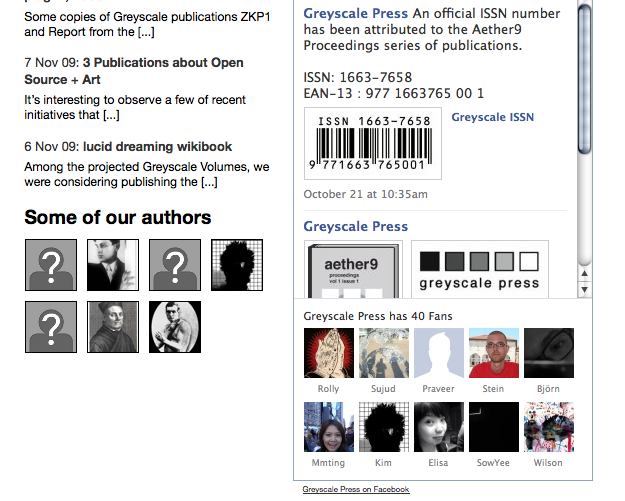 November 10 was the launch date of a new website for Greyscale Press, an experiment in web-to-print publishing. 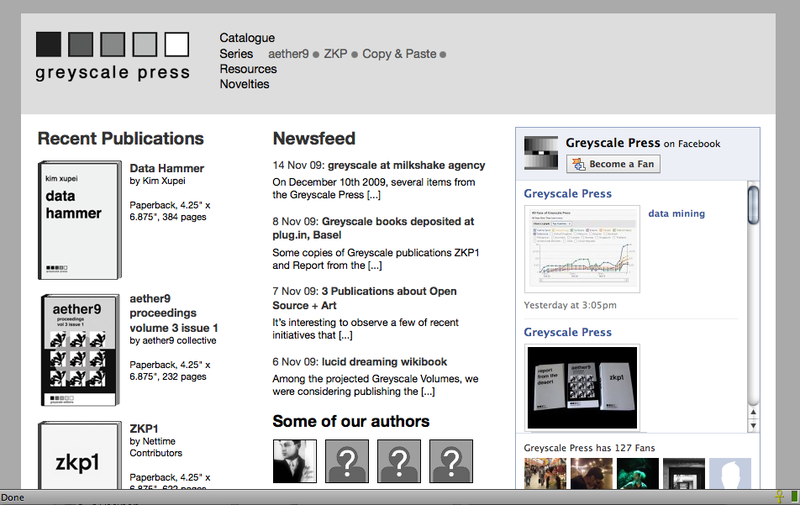 The previous website hosted at greyscale.tk was a very minimal structure consisting in a few php files — the new version at www.greyscalepress.com is running on WordPress, which I customized in order to look less like a blog and more like a minimal business website. 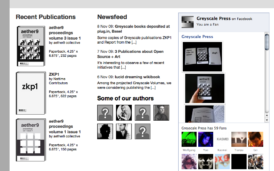 Since the PR stragey of Greyscale Press is strongly focussed on social networks, I implemented the Facebook “fanbox” as a prominent element in the website layout.